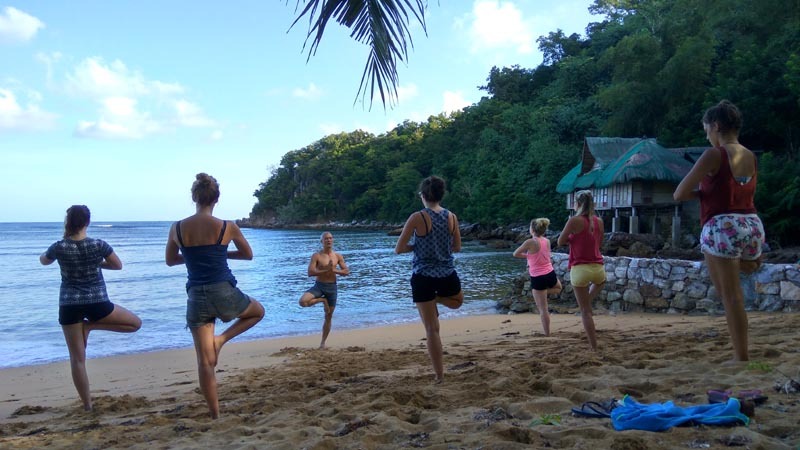 Beach yoga first thing in the morning in a rustic beach resort as the sun rises is as cliché-perfect as it gets to starting the day right. At Palawan SandCastles, the day begins like this. In continuing my practice, I invite Outback Greg and the current guests of the resort to join me as I conduct my morning practice. 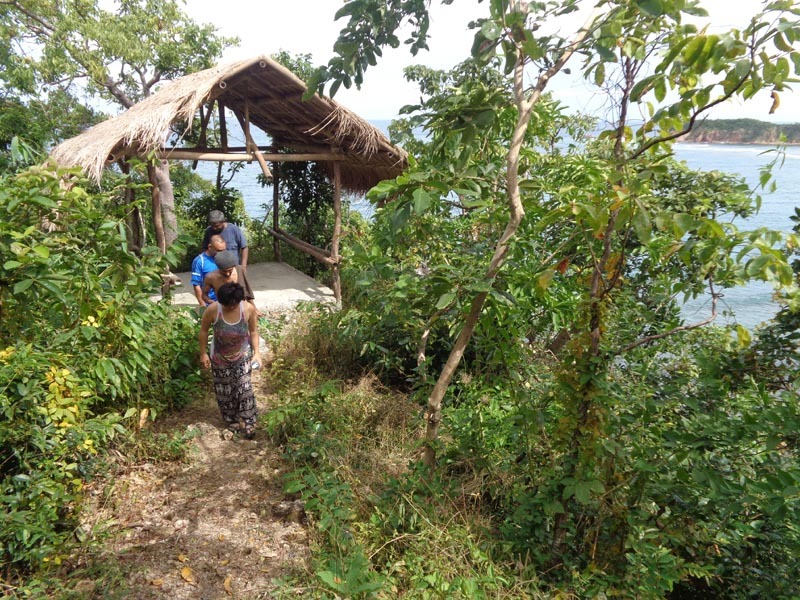 On one occassion, Gino, a resort guest and a part of the Malaysian crew, conducted a Tri-Dosha yoga on the hilltop overlooking the nearby islands. It was a very relaxing sequence that keeps defaulting back to Savasana as a base asana. At the end of it, the body felt restored back to its 'factory settings'. Early on, I had a class with Melissa and Cheng. It was difficult balancing and getting proper alignment while standing on sand, but we did the best we could. The tide was low and the wind was calm...soothing for an early meditation following the asanas. Coming from Culion back to SandCastles, a group of lovely Belgian ladies were guests at the resort. While new to yoga, they were all eager to star on their practice. Not limited to asanas, I also introduced Pranayama for the extra boost of energy. 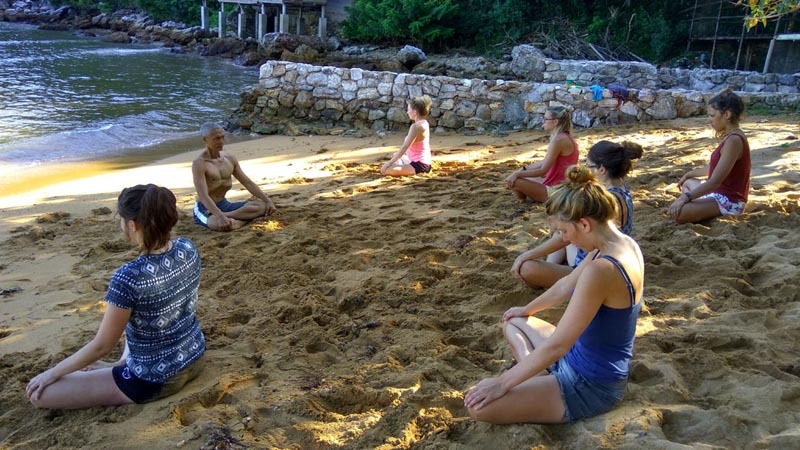 Yoga was then followed by snorkeling on SandCastles' house reef. It doesn't get any better than that. Greg and I are of the same age. Like me, he loves the outdoors and plays hard. I couldn't think of a better supplement to that lifestyle than yoga, pranayama and meditation. 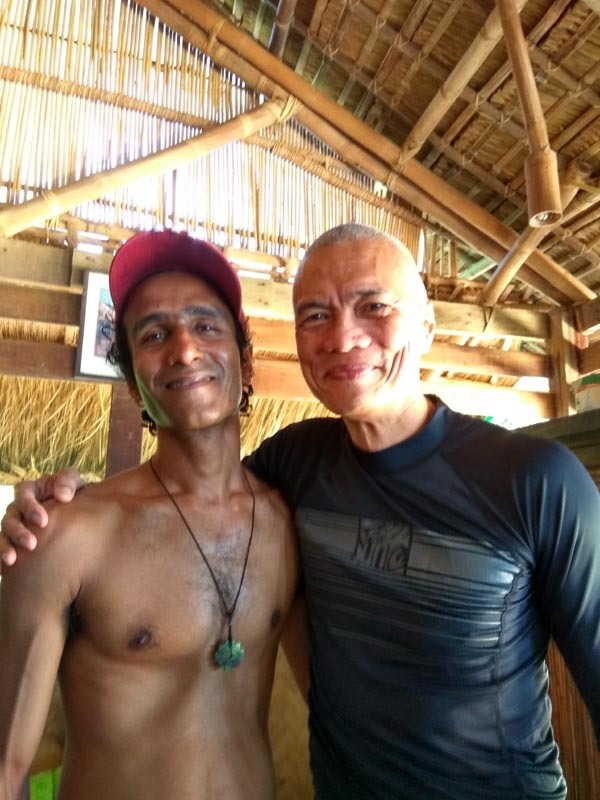 I simply shared with him my own private practice specially prayanama to tap into that unfathomable energy reservoir. I wasn't aiming for a Superman-effect - just fortifying the body for resiliency against sickness and speedy restoration. After the Belgians left, 4 Germans arrived, one of them with a tummy problem. I focused on twists, Uddiyana Bandha, nauli support poses and Hamsasana to put fire back into the digestive system, optimize digestion, flush out digestive residues and massage the internal organs. For travelers who do not have the luxury of meal-choices when traveling, digestive optimization is paramount. In theory, there is no illness yoga cannot cure. When there is sickness, it means prana is blocked to that part of the body. Through yoga asanas, the blockage is cleared allowing prana to flow freely and rid the body of the malady, restoring the body back to optimum health. In continuing my practice, I am able to share my yoga, more or less, on a student-need basis. This is along my vision of yoga for therapy. While yoga itself is therapeutic, I would like to concentrate on poses that focus primarily on body parts that need therapy the most - like kidney poses for kidney disorders. This is the aspect of yoga that interests me the most. With more time to explore on this, I hope to deepen my yoga to tailor-fit a practice or sequence suited to an individual's unique health needs. (Nov 24, 2016) Were you teaching the class? (Nov 22, 2016) I'm glad that this is becoming a thing now! I knew we met for a reason. I plan to head back end of April let's try and meet up! (Nov 22, 2016) Love the writing my friend!! And such kinds words about the session x so happy to have met you on this journey Gigit Until our paths cross again hmmm?